MTTC is the only Institute in Pakistan which delivers the AMI Syllabus through AMI qualified instructors and awards Diplomas on the results of AMI examinations, thereby providing authentic Montessori qualifications. The Montessori Teachers Training Centre conducts a full day bi-lingual (Urdu/English) course of one academic year from July/August till May/June. 3. Educational techniques referring to different developmental stages of the 2 ½ to 6 years period. • Exercises of Practical Life which is education of movement leading to integration of personality and adaptation to society. 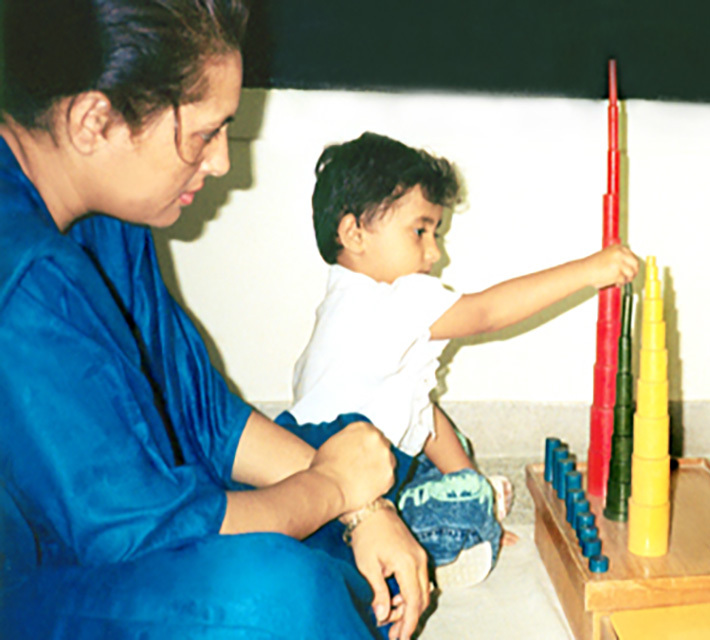 • Sensorial exercises which are for education of senses laying the foundation of intelligence. • Development of Language skills. • Building of Mathematical concepts. • Building concepts for Cultural subjects - History, Geography, Botany, Zoology, Science, Music, Art. 4. Observation and Teaching Practice in different environments. 5. Compilation of Albums and Materials. 6. Examinations: 2 Theory Papers and Orals conducted by the External Examiner appointed by A.M.I. • The Applicant must have at least First Class Intermediate Certificate or 3 A level passes. • Preference is given to Graduates and those with higher qualifications. • An entrance test and interview is held to select eligible candidates. • Decision of the Training Centre is final and binding on all candidates.